If you want to create a highly effective wellbeing program in today’s uncertain, volatile and ambiguous world, you’re going to need a good map and compass. An inclusive and comprehensive set of systems tools to navigate the unique challenges you face. In this report, we provide such a collection of systems tools. If you want to create a highly effective wellbeing program in today’s uncertain, volatile and ambiguous world, you’re going to need a good map and compass. An inclusive and comprehensive set of systems tools to navigate the unique challenges you face. In this report, we provide such a collection of systems tools. 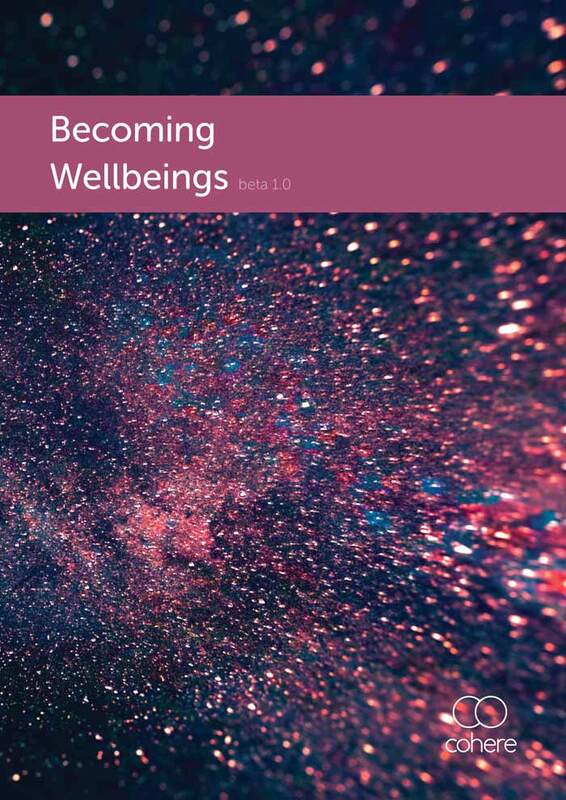 These tools are grouped into eight wellbeing wayfinding perspectives that have been curated for schools, communities and organisations who wish to take a systems approach to wellbeing. Each perspective provides a unique and valuable lens through which we can make sense of, and respond to, our wellbeing challenges. The perspectives include a range of processes and organising frameworks that enable groups to engage in deeper levels of thinking, transcend limiting habits of thought and ask better questions to navigate the future in meaningful and highly adaptive ways. Copyright and Commercial Use: This work is licensed under a Creative Commons Attribution-NonCommercial NoDerivatives 4.0 International License. Anyone may read this article or use it for their own personal or academic purposes. Reference: Buchanan, A. (2017). Becoming Wellbeings. Melbourne: Cohere.